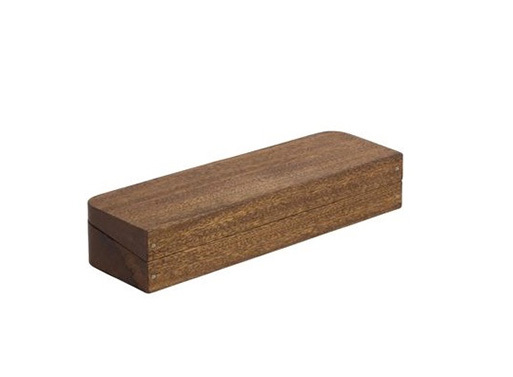 This mahogany desktop container is pretty fun thanks to small, embedded magnets at strategic points. 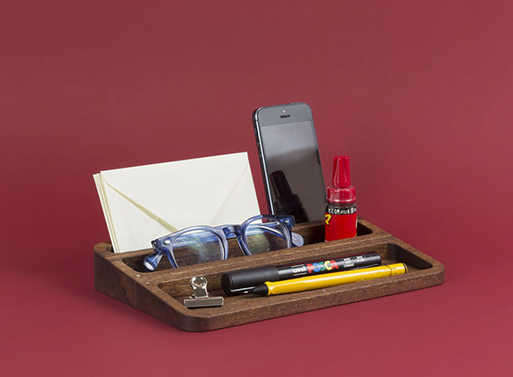 It can be a box, a tray, or two separate compartments simply depending on which pieces you let snap together. Also available directly from InternoItaliano, 97,00 €. Available from LUISA VIA ROMA, $129.00.